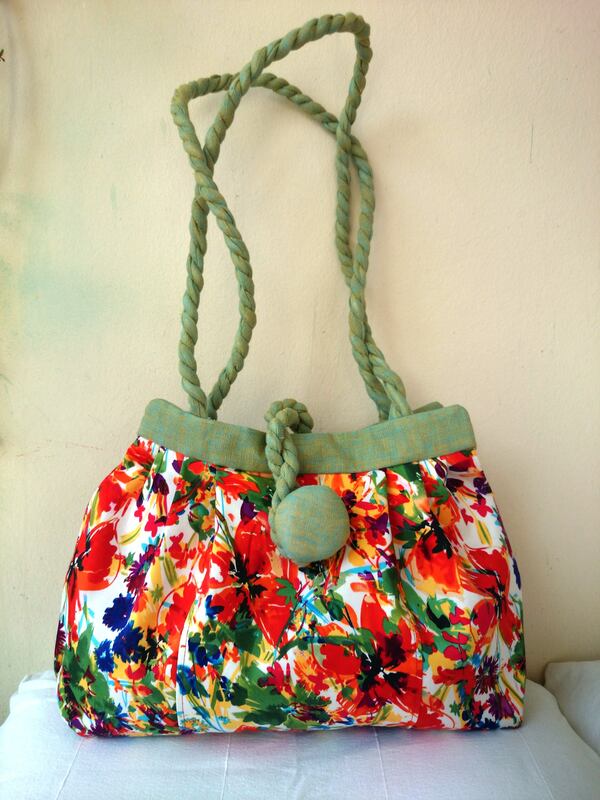 Flower bag, trendy and casual chic light green and red flowers hand bag - shoulder bag. Package shipping 48h. 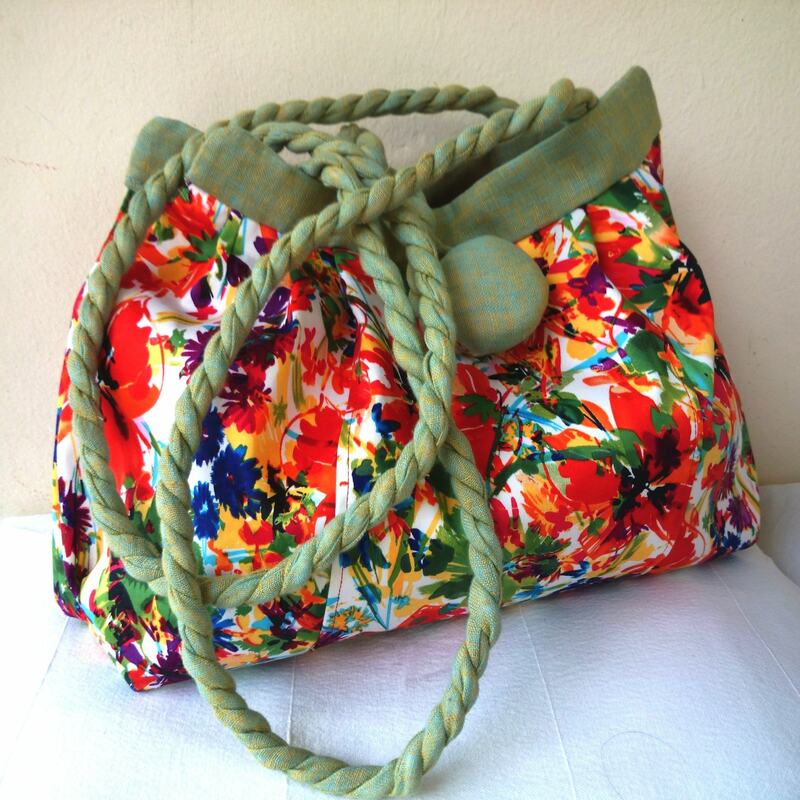 Spring and summer fabric handbag. Its esthetical and luxurious qualities suits you it in any situations, indeed which need elegant ladies handbags. 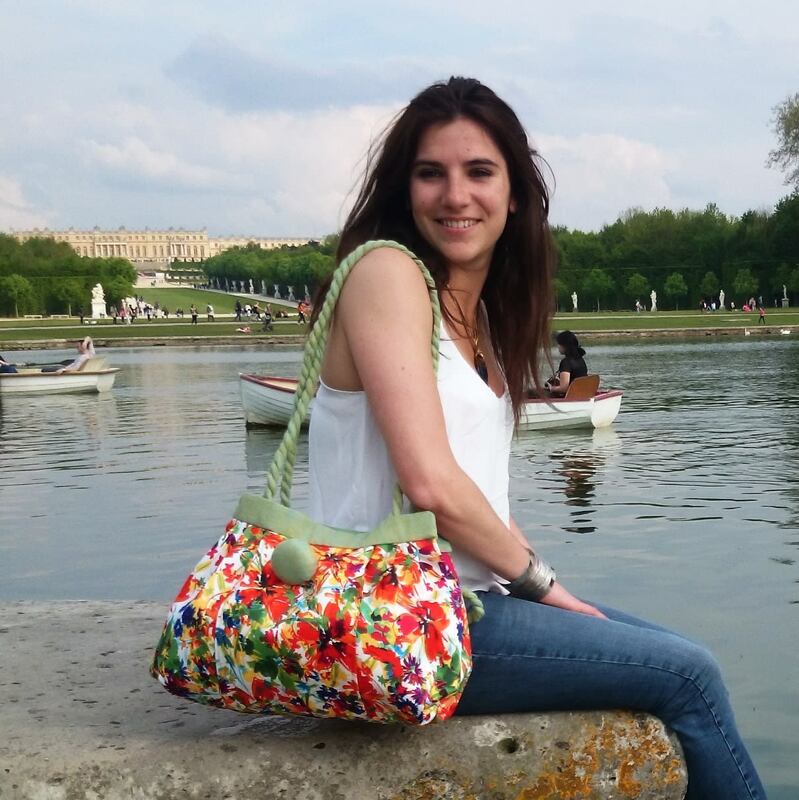 You can wear it on shoulder as shoulder bags , the most comfortable way, or by hand or arm as handbags, more cute and trendy. In this case you make a loops with the long handles and take them in the closing strap. It is a large purse, its size: 11X15X4inch about. It is roomy, handy and solid. To be convenient, you find inside one pocket enough large for a smartphone and a smaller one for kees or money. esthetic because they are made with the same fabrics of the upper part of the bag. 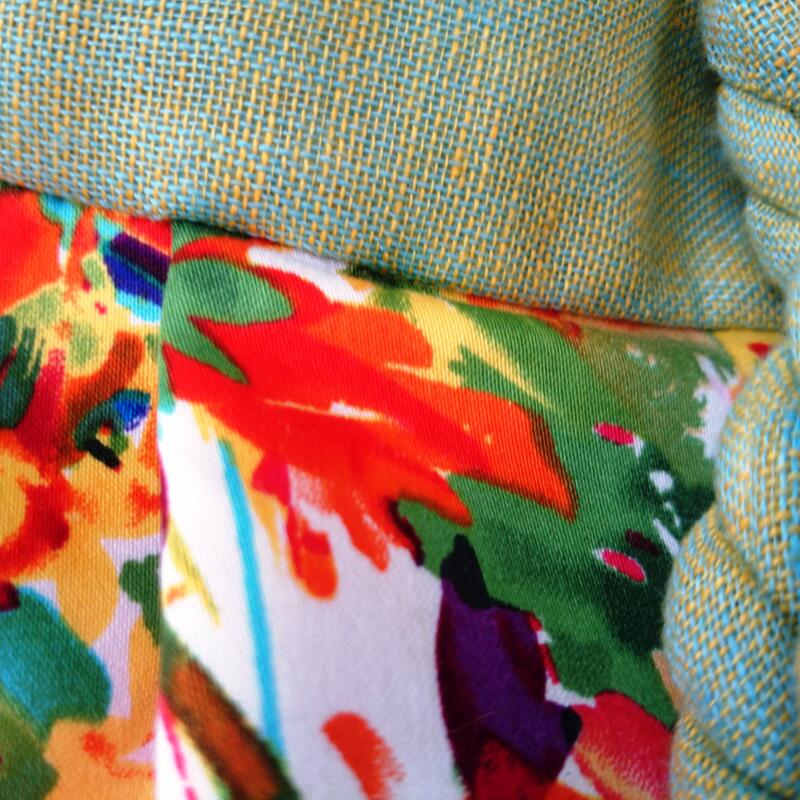 The motif fabric is satin of cotton. The pale green fabric is linen. Cleaning advice: handwash in cold water or dry cleaning, the big button can be swich off.